When Daylight Savings begins, you know that Spring can’t be far behind—and neither are Easter, Passover, and Spring cleaning. This week, we review some Easter bunnies, outdoor art adventures, and a decluttering marvel. 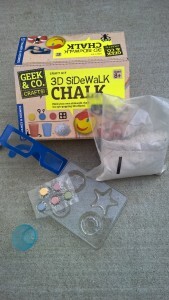 3D Sidewalk Chalk (Thames & Kosmos). 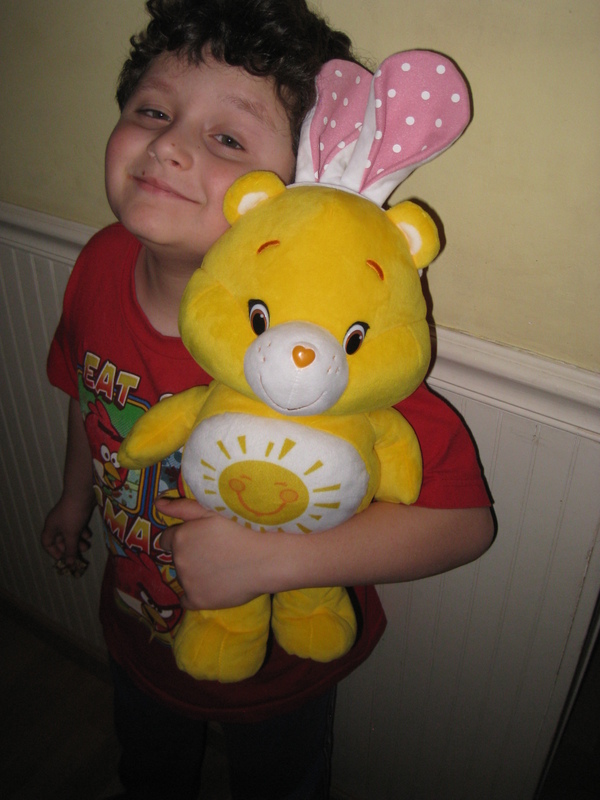 This 16-inch, soft, cuddly, plush gets your child’s best Care Bear ready for Easter too. Cleverly disguised as a bunny—complete with Easter Bunny ears—Funshine is a great addition to any Holiday basket. $24.95 at Amazon and elsewhere. 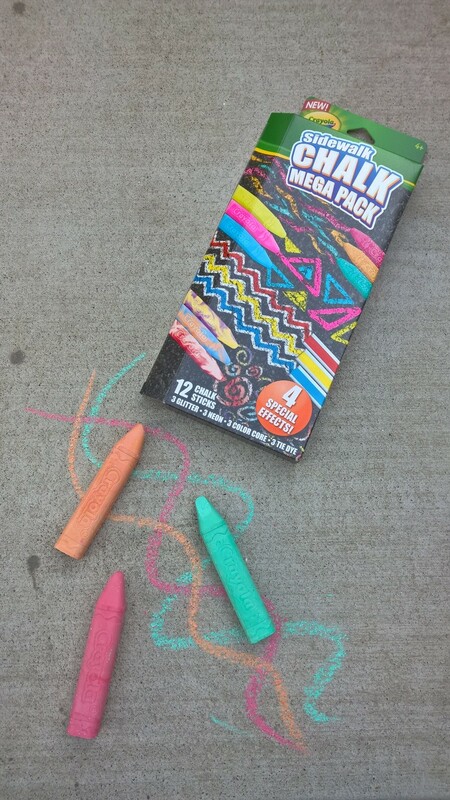 This entry was posted in Reviews and tagged bunny, chalk, crayola, easter, fujitsu, thames and kosmos on April 3, 2015 by Parents@Play Team. How is it that giving candy and chocolate to kids has become such a major part of so many holiday celebrations? Every one of those holidays has its own, special, traditional sugary treat. In the case of Easter, of course, it’s eggs and bunnies. But these days we’re hearing from more and more parents of very young children who are looking for two things: reduced-sugar treats for the kiddies, and toys that aren’t too big for their little ones to pick up and play with. Here are some of our spring Easter-basket-stuffing faves that satisfy both of those requirements. These two adorable bunnies are perfect for baby’s first (and maybe even second) Easter morning. Bubbly Bunny plays four soothing sounds, including giggles, wind, waves, and a cute lullaby. The selection and volume are set by mom and dad. 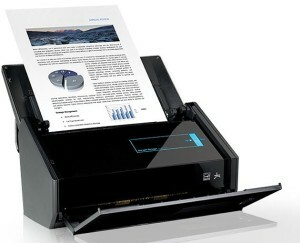 There’s also a variable sleep timer (23 or 45 minutes). Comes with a Velcro strap to secure Bubbly to baby’s crib. 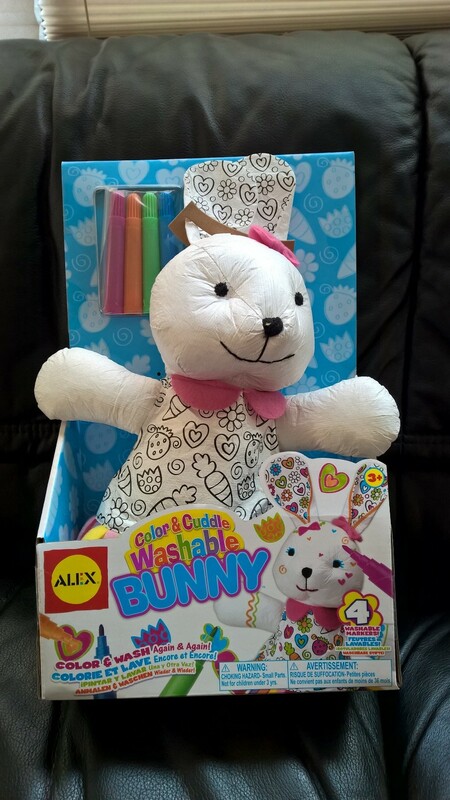 Cuddles Bunny adds sight and touch to the infant bedtime experience. The slightest hug makes Cuddles glow and activates a vibrating heartbeat (easily be disabled by a parent), which are designed to help your baby learn to calm herself. The light is dim enough to not interfere with sleep, and shuts itself off after 23 minutes. Both bunnies come with batteries and retail for $30 (Bubbly) and $33 (Cuddles) at http://cloudb.com. Bella Bunny lets your baby use almost every one of his senses: The colors are vivid and engaging (vision), there are a variety of fabrics and textures (touch), and the ears crinkle (hearing). Plus, Bella is made of completely non-toxic materials, so your baby can gum and gnaw away to his heart’s content. 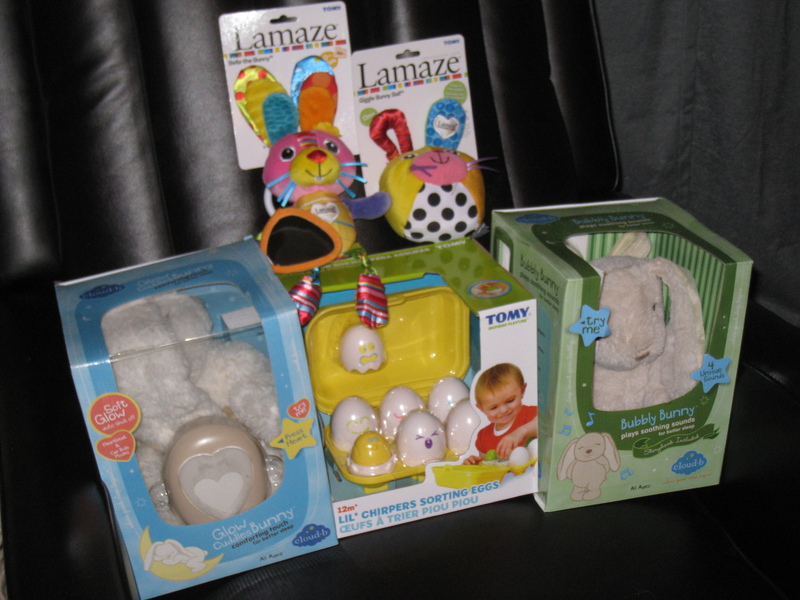 Lamaze color codes all their products to make it easy to find the perfect toy for your child’s age and developmental range. 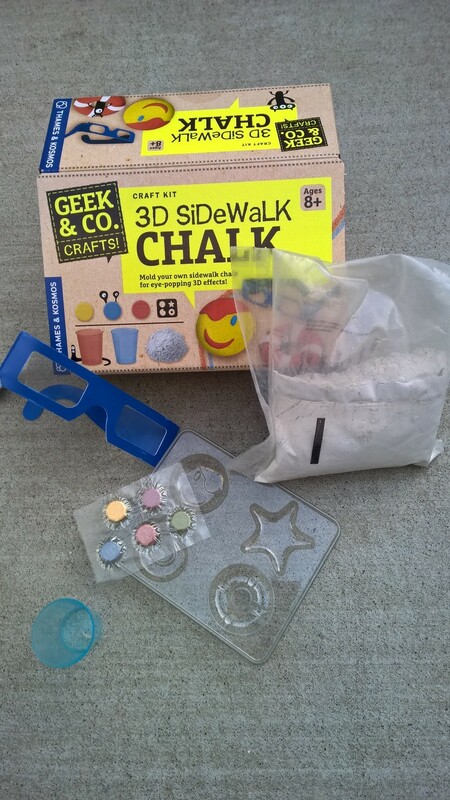 This entry was posted in Reviews and tagged brott, bunny, cloud b, easter, feuss, little tikes, tomy on April 11, 2014 by Parents@Play Team. What’s an Easter basket without a few stuffed animals? Most young kids love something soft to snuggle up with, and Easter is a great excuse to give them cuddly toys. But, honestly, do you really need an excuse? Gund is definitely on our list of favorite stuffed-animal brands, and they’ve got such a huge variety that you’re pretty much guaranteed to find the perfect addition to your little one’s menagerie. At this time of year, of course there’s no shortage of traditional rabbits, but they also have plenty of other soft and snugglies. Let’s start with bunnies. “Floppy” is a large, white rabbit that, as you might guess from the name, is actually floppy. But he’s also wonderfully plush and makes a great cuddle companion. Floppy comes in two sizes, for $15 or $25. “Ditter Bunny” is velvety smooth to the touch, and the perfect size for small hands. He is available for $12, and his sweet face will bring smiles to yours on Easter morning. A fun new addition to the Gund family, “Li’l Sprout Bunny,” is available in four fun and festive spring colors: white, yellow, green, and pink. He’s got a great, cartoon-ish face, complete with rosy cheeks. He’s also a little flatter than most stuffed toys, which makes it all the more interesting. Li’l Sprouts retail for $12 each, and can be a nice addition to your Easter décor. But you should have a Plan B, since your kids or grandkids are going to make off with them as soon as your back is turned. Gund has tons of other Spring toys, including even more rabbits, chicks, ducks, and lambs. You can find them all at gund.com or your local specialty stores. Bunny Popper isn’t quite as cuddly as some other Easter toys, but he’ll definitely add a little pop to your holiday. Put one of the six included soft foam balls in Popper’s mouth, squeeze, and it can fly as far as 20 feet. The harder the squeeze, the further the balls go, so you need to be the judge of whether you want to risk your fine crystal or send Popper and the kids outside. 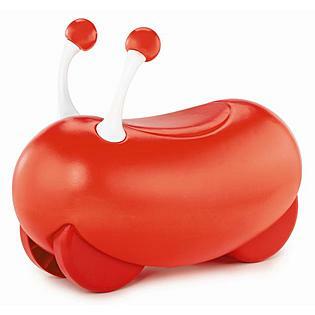 Popper is available for $10 on http://www.hogwildtoys.com/, or at many other retailers, including Amazon.com and Fatbrain Toys. What’s Easter without eggs? Playmobil’s alternative to those high-calorie chocolate ones pack a lot of fun into a small package. Each one contains an entire scene, complete with characters and props. Scenes include race car drivers, knights, fairies, unicorns, and more. After playtime, all the pieces fit neatly into the egg, which is small enough to take anywhere your child goes. If you’ve got other Playmobil play sets, the eggs will fit in quite nicely. At $8.95, they’re a great value. Speaking of play sets, for kids who love Calico Critters (and most do), the new Chipmunk Family will be a hit. Each member of the family (mother, father, sister, and brother) has a distinct personality and works with the Calico Critter World theme, where everyone has a special job, and they’re all friends with each other. These cute toys are great for teaching social skills, stimulating imagination, telling stories, and learning about what makes a community. The Chipmunks and plenty of other families (bunnies, elephants, and more) run $23 and are available at http://www.calicocritters.com/. 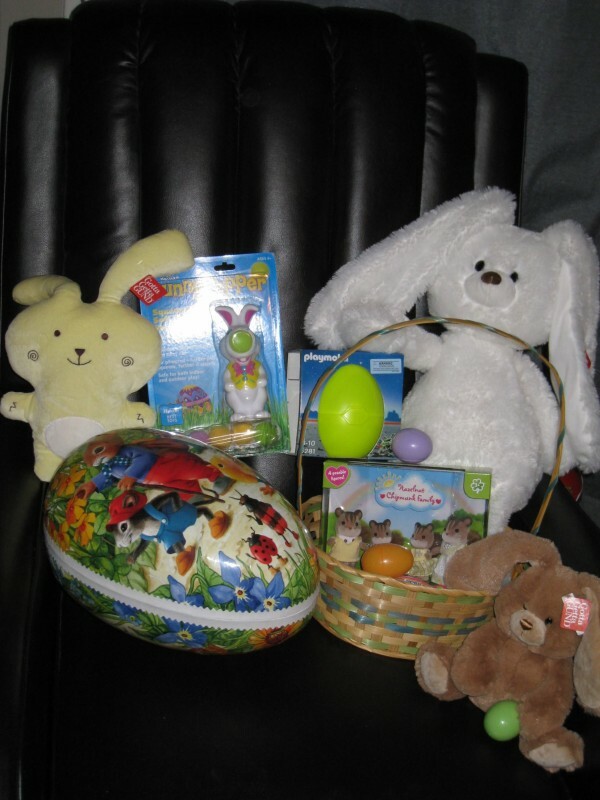 This entry was posted in Reviews and tagged brott, bunny, calico critter, easter, egg, feuss, gund, hog wild toys on April 4, 2014 by Parents@Play Team.